.Net is one of the most potent server-side scripting languages in the technology domain as it provides ability to interact fluently with customized web applications. Our services at GoodWorkLabs for ASP.NET development facilitates you to get world class and flexible web solutions for your complex business models. 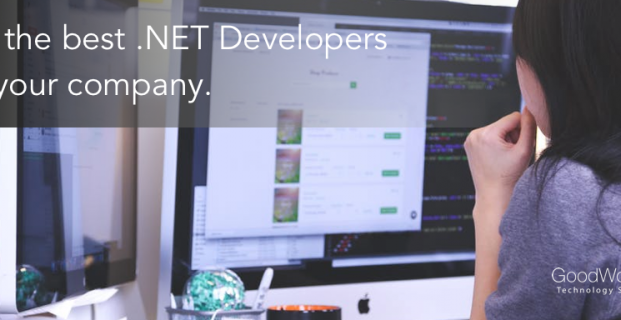 We have dedicated and skilled ASP.NET developers who have several years of experience in DOT NET technology. Grab hold of all the features and functionality of a robust ASP.NET framework along with the security in our customized solutions. GoodWorkLabs is world leader in software solutions and .Net is an area where our technology experts have proven themselves time and again. What Makes GoodWorkLabs the best option? GoodWorkLabs has impartial reputation in the market for paying excellent attention to detail. Our technology experts are always filled with energy and are passionate about building world-class products. We emphasize on strong communication and critical thinking skills, and hence all our clients look forward to working with us again. Contact us today for world class .NET solution today.